An inactivated vaccine is one that uses a dead or killed virus or bacteria to help your body develop an immune response. An inactivated vaccine cannot cause the particular disease (e.g. flu and others below) that it is intended to prevent — one of the common flu myths that sometimes prevents people from getting a flu vaccine. Some inactivated vaccines (e.g. polio and pertussis) require multiple doses and periodic boosters for protection to continue. How Are Inactivated Vaccines Created? Scientists use heat, chemicals or radiation to kill the live, disease-causing bacteria or virus. Part if the bacteria or virus is then given back to the patient in order for your own body to develop an immune response. As a result, the body has a natural defense built up if you are ever to encounter the bacteria or virus naturally. The immune response is weaker than the response produced by a live vaccine or getting the actual infection. As a result, inactivated vaccines often require more doses than live vaccines. 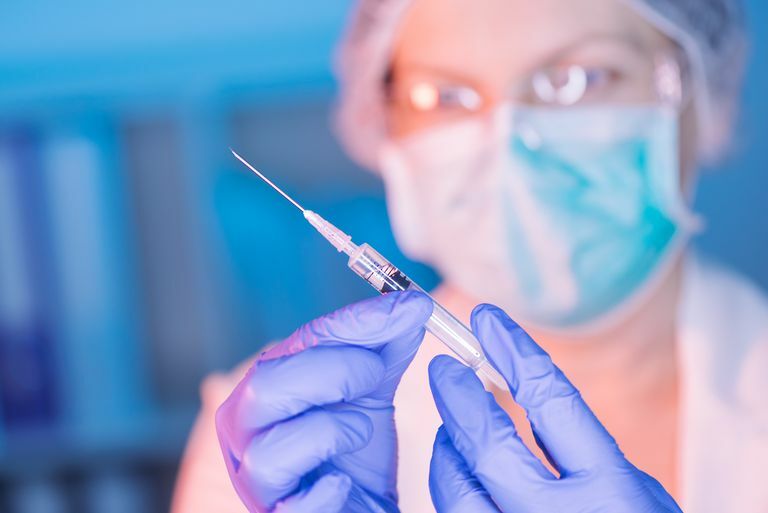 Given that people do not like shots and this strategy requires multiple doctor visits, it is not surprising that we sometimes have difficulty with vaccine compliance when multiple vaccines are required. What Are Some Advantages of Inactivated Vaccines? In general, they are less complicated for your health care provider to handle. Most do not require refrigeration or special shipping requirements. They have a longer shelf life in your physician's office and are more stable. What About Other Types of Vaccinations? Live vaccines are often referred to by your healthcare provider as "live, attenuated" vaccines. This means that there is a weakened, live virus that is used to create the immune response. This is considered the closest thing to actually getting the disease and developing natural immunity without having to go through the getting sick part. The advantage of this is that you often need fewer doses of the vaccine to develop immunity. In order to create the immune response scientists take some weakened part of the virus or bacteria. The idea is that the pieces/ parts create an immune response in you, but not the disease. Because this vaccine is living, it has the potential to mutate and change exists. This is why there is a small risk of developing the disease being vaccinated against and we do not administer these vaccines to patients with suppressed immune systems. However, there are some downsides and precautions. Because the virus is live there are special shipping and storage requirements. While not a huge problem in the US, it does create problems for vaccinating in resource-poor environments. Additionally, these requirements increase cost (not only of the vaccine but in labor and staff expenses) of administering these vaccines and they generally have a shorter shelf life. this means that your doctor may not have this vaccine regularly on hand if they do not have a good feel for the need. Sometimes these live virus vaccines are introduced via vectors. This can be thought of as a "Trojan horse." In this type of vaccine, the live, attenuated piece of virus or bacteria is used to introduce a piece of DNA into the body and develop an immune response. In this scenario, the live virus or bacteria is the trojan horse carrying the DNA into the body. National Institute of Allergy and Infectious Diseases. Types of Vaccines.